Social media platforms like Facebook is a hub for just about everything you can think of, from status updates, photo, and video sharing, messaging support, business advertising, live streaming feature, and so much more. There is so much going on that you can get lost in it for hours without realizing the clock ticking by. Meanwhile, Instagram provides gorgeous and captivating visuals and has become a major trendsetter as well in recent years. Twitter – despite its limitations, there are apps to smooth the experience– is a favorite of those who always have something to say and even an excellent source for current events and news. People can even work from home because of work opportunities from these platforms and if you have a business nowadays, never underestimate the power of social media to take your business to new heights. If your business hasn’t considered the potential benefits of social media, think again. People are spending more time on social media than ever before, whether it’s to connect with other folks, gather and share information, find engaging news content, or to just be entertained. With the variety of social media sites competing for time and attention today, it’s important to know which ones are best for your business, target audience and stakeholders. LinkedIn, Facebook, YouTube, and Twitter may be great for one business, while Snapchat, Pinterest and Instagram are better for another. In addition, you should have an established social media policy and determine how much money and time you can afford to spend, what type of content or selected advertising you will be posting, and who will be responsible for the posts and ads. Everyone right now is into a certain form of social media, so you know you’ll never get wrong if you invest your time, money and attention in setting up social media accounts for your business if you want to tap to a wider audience at a fraction of the cost of conventional advertising. Others even coined the term e-word of mouth, because, in a way, that’s how social media works. In a world where people are constantly being overwhelmed with advertisements and sales pitches, building a warm relationship with your clients is one good way to increase sales and earn customers’ loyalty. Channels like Facebook, Twitter and Instagram allow you to engage with customers in conversations, offer technical support or even give inspiration and tips for their daily life struggles. A lot of people nowadays feel comfortable sharing their opinions about the products they purchase on social media. An even more valuable form of customer feedback are the user generated photos and videos. These can be used not only to differentiate your brands content on social media, but also to increase the trust and decrease the concerns of prospective buyers. If you would like to increase your products’ visibility online, don’t hesitate to use popular hashtags related to it or complimentary products. The use of hashtags increases the chance of people who do not currently follow you to see your posts and convert into followers or clients. A proven way to increase the visibility of your brand or products on social media are social games. If you would like to reach to new people and advertise your products or e-Commerce website at the same time, you can try running a giveaway with product prizes. In our article last week, we talked about Email marketing and how it is one of the best converting online marketing channels to increase sales. And gaining subscribers from social media is actually easier than you think. Nothing is stopping social media. It has become a powerful influence in just about every aspect of our lives. It has even turned to an obsession for some. While social media is helpful in building contacts, connecting with people, and getting updated on all the recent events happening in the world today, it has a lot of drawbacks too, something you should keep in mind if you want to keep your security and sanity intact. While we like the fact that using social media is for free, we ignore the fact that maybe because we are actually the product in these platforms and not just mere users like we want ourselves to believe in. 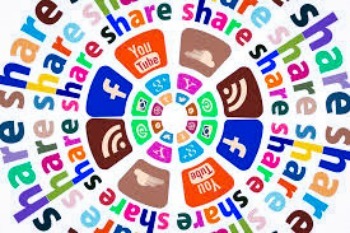 Although it is hard to resist to check your social media accounts now and then, moderation is actually the key to finding balance in social media use and even businesses should be wary of the dangers of social media or any other form of advanced computing technology, so they can reap the most benefits from it without losing a lot in the process.